Most people will adopt “wait and see” attitude with respect to what happens with the accounting of the foreign exchange earnings of the country’s state-owned enterprises. If they recorded at the new floating rate, then Burma’s budgetary position will be transformed, accompanied by reasonable cuts to military spending and lift in spending on health, education, and all the other areas of desperate need, then it can be positive. Even though Burma’s budget for 2012/13 adopted a rate similar to the new floating target is employed, yet it lacks the details of this budget. The country’s fiscal deficits have been the most intractable of its economic problems, and the budget is the medium through which the biggest impact of exchange rate change will be felt. In short, upon this depends just about everything. But the big question is what to do if Kyat 818 to the US dollar persists in damaging the reasonable prospects of Burma’s private sector exporters, and/or if market pressure pushes the rate even higher. The latter may be a likely consequence of Burma’s rising exports of energy which, from 2013, will be significantly boosted when the gas from Arakan State’s Shwe Gas start flowing to China. As a consequence of all of this Burma faces what Prof. Sean Tunell, describe as “Dutch Disease” (so named after the experience of the Netherlands after the discovery of North Sea oil), where an energy exports-generated surge in the exchange rate makes other exports uncompetitive. Moving to a managed float for Burma’s currency does not constitute anything like a magic bullet for its economic ills. These require yet more profound change, especially in the transparency required in the spending and revenues of government. Because of its Military, the Tatmadaw, Burma, is among the poorest countries of the world with citizens earning an average of just $2.25 per day, according to IMF estimates, while inflation averaged about 24 percent a year over the past decade as according to IMF data show. “Further reducing inflation would require stopping the financing of the fiscal budget deficits through money creation,” the IMF said in January. “A prudent fiscal policy is essential to maintain macroeconomic stability, especially during the exchange rate unification process.” Burma, will likely issue more treasury bonds to domestic investors to finance fiscal deficits, reducing its reliance on printing money to fill budget gaps. The role of external influence on is very important such as Japan and the West. The Malaysian report of a dual approach which has been adopted seems to be working where the international community agree on a division of labor, with the United States, the European Union, and the United Nations pressing on human rights and democracy, while Asian players focus on technical assistance and capacity building for encouraging democratic change under the umbrella of Constructive Engagement to prolong the military backed machine. So far it seems that the current regime is desperate on American Sanction that ban imports, restrict money transfers, curb aid money, freeze assets and target jewelry with gemstones originating in Burma. The European Union has lighter restrictions, including a ban on weapons sales and imports of minerals. Now with the floating of Kyat we would humbly advice that the country should deal with the World Bank because it encompassed four policy and financing arms, the IBRD or the IDA (International Bank for Reconstruction and Development or the International Development Association) for the poorest countries of the world where Burma is one of them. Then there is IFC (International Finance Corporation) a private sector arm and the MIGA (Multilateral Investment Guarantee Agency) which offers investors insurance against political risk. This last one applies very much to Burma since there is no guarantee against the marauding Tatmadaw and its Generals which can turn the table in seconds. Financing is just one of the aspects of the World Bank, most importantly it shares knowledge, develops long lasting markets, institutions and capacities; and offers diverse financing, whether it will take the form of equity, guarantees, loans, grants, and risk management. Combining all three elements the bank can improve lives of the people of Burma. We must remember that since 2007, the international economy has witnessed tectonic shifts followed by the reordering of power relationships. Developing countries have provided two thirds of all the economic growths of the world helping compensate for the stumbling industrialized world. Developing countries have become the source of economic ideas, development modelism investments and sometimes foreign aid. The institutions, national and international, designed for the old order has been straining at their sea s to accommodate this new dynamic. Hence if we look back at the contemporary history of the World Bank we see that over the past 5 years, the World Bank has customized it services to solve problems for diverse developing clients in the public and private sectors; expanded its capital base and innovative financing tools; emphasized the importance of good governance so essential in Burma and anti corruption efforts which Burma is now attempting ( if it dares to start with Than Shwe and his families). But most importantly is the democratized development through openness and transparency which the country is lacking. It also creates and updates its representations and operations to increase the voices and responsibilities. In a country like Burma, that is struggling to break out the cycle of violence, poor governance, instability, and poverty need much more than development theories. Security, economics and diplomacy must often worked together fitfully in countries struggling with conflict. The Thein Sein administration is not genuine in attempting to solve the ethnic problems by not recognising the Union of Burma (Pang Long Conference) or the prevalence of the real democracy is facing a big challenge and that is where the World Bank should comes in. If there is a real change to Democracy and Federal system of government there is every possibility that the government will be in a position to lure back the Burmese Diaspora numbering some 3 to 5 million, most of whom are professionals. But of course the Burmese Generals sadistic mentality of targeting the Universities as the potential brain to challenge their totalitarian authority, as it had done in 1988 will have to be dismissed. If ever there is a likely scenario with Daw Aung San Suu Kyi at the helm this Genuine Union of Burma then it has every potential to become an economic dynamo of Southeast Asia. Here the World Bank must come in and share its experience especially not only to the urban middle class but also to the grass root level for tens of thousands of people have no cushion to soften the blow of the economic change. The ‘World Bank has a good record of helping millions of people in 47 countries can be repeated here. Moreover when food and fuel prices were skyrocketed by global financial crisis the World Bank has mobilized more than $200 billion of financial commitment to developing countries and Burma can be one of them. Investing in infrastructure to help create jobs, increase productivity and slowly raise the demands of machinery and services which it tapped the sources from developed countries. Fostering safety nets to protect the most vulnerable and the marginalized people so abundant in Burma especially among the ethnic nationalities including cash transfers to pay for the poor families that keep their children at school and get preventive health care. Via IFC, the World Bank has extended financing to the private sector; especially to small and medium seize business and micro-finance institutions. But most importantly the Bank will say No to clients that refuse to meet standards to safeguard corruption the environment and the governance. If the Burmese administration can do this then it will upgrade both the quality and the quantity of their growth. Promoting good governance and combating corruptions are an integral part of the developments. 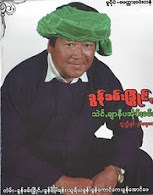 It is quite evident that the Thein Sein Administration cannot tackle this for it must start Senior General Than Shwe and prevent his grandson Nay Shwe Thway Aung better known as Pho La Pyeh who is now in Europe opening new accounts or to get access to the already existing accounts which they have unlawfully accumulated, once the sanctions are released. Of course if the World Bank comes in it will investigate, prosecute and penalise those who are engage in fraud and theft. Such kind of episode is not only in Burma but in many resource rich countries, the primary challenge is for the government to use income wisely, counter corruption, and broaden the benefits of growth Obviously the Bank will implement counter corruption measures, improve transparency, and involve civil society in supporting good governance. It will also help the government at the sub national level- strengthen the financial management, procurement systems, auditors and other checks. We should bear in mind that in 2010 the World Bank push through with the regional banks which makes sure that the individual and companies found guilty of stealing from the state are punished. This (SARI) Stolen Act Recovery Initiative had assist government in recovering the funds stolen by the leaders who looted their countries treasuries. The bank refers it to the national criminal authorities and if the Burmese judicial system or government refuse to cooperate then it will withdraw. But to support the investigators, prosecutors, judges and others who take on these often dangerous jobs, the World Bank has set up the International Corruption Hunters Alliance a net work of more than 200 anticorruption officials from 134 countries. The World Bank will also assist local citizens and civil society groups that support accountability. It must be remember that economic freedom must be combined with good governance, citizen voice and social accountability. Inclusive and sustainable development depends on shifting from an elite, top down approach to one that democracies development which is solely lacking in Burma. This means giving the people to gather data and better understand development issues, along with opportunities to share insights. Mistakes must be pointed out and there must be constructive critics that will make the institutions more effective. At present in Burma there is no one who dares to point out the mistakes of the men in uniforms and the old generals are still the authorities behind the throne. This psyche and rationale must be rooted out and Thein Sein administration cannot do that as they themselves are half military. We may have to wait for 2015 new elections (provided it is free and fair), when an entirely new government will be in a position for the economy to turn around whereby perhaps at that time the then Burmese administration will be not in a position to lie the very concept of Truth. Kanbawza Win, the author of Introduction to International Development Studies can be reached at bathannwin@gmail.com for comments.